Over 400 Used Cars, Trucks, SUV, & Vans in Green Bay. 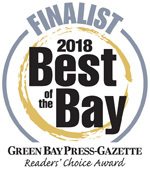 Providing great used cars and trucks to Green Bay, Allouez, Ashwaubenon, Howard, De Pere, Bellevue, Suamico, Kaukauna, Little Chute, Appleton, Menasha, Neenah, Two Rivers, Manitowoc, Sturgeon Bay and Oshkosh. Green Bay Used Cars, Trucks, Imports and high quality pre-owned vehicles on the West side of Green Bay. Your budget priced headquarters. Many cars and trucks on our used car lot to select from including value checked vehicles at great budget prices. Plus with non-commissioned sales staff, we are here to help you find the right vehicle without pressure. Gandrud West Mason Value Center One Low Price??Always!!! The Best Used Cars in Green Bay!